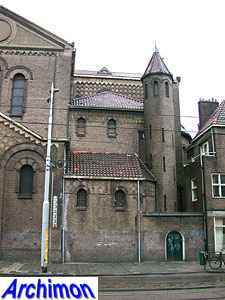 When Jan Stuyt was commisioned to design a church dedicated to the Roman martyr Agnes, he took his inspiration from the early christian basilica in Rome, especially the San-Agnese-fuori-le-mure from the 7th century, where this saint is supposedly buried. 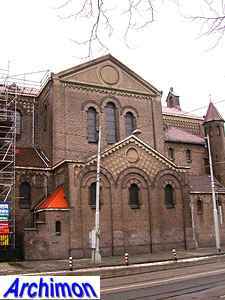 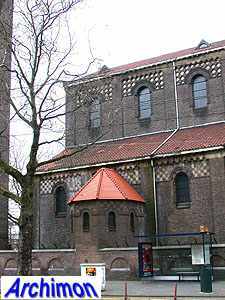 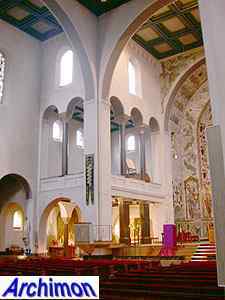 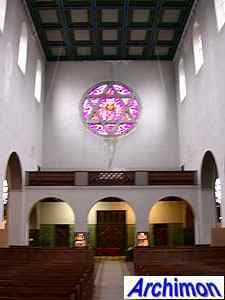 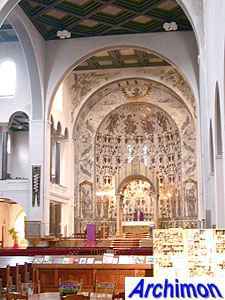 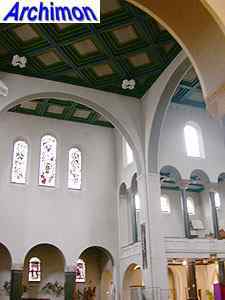 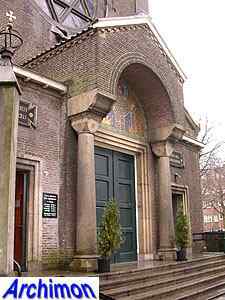 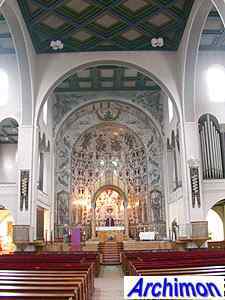 The two churches have many things in common, exept that Stuyt added transepts to his design. 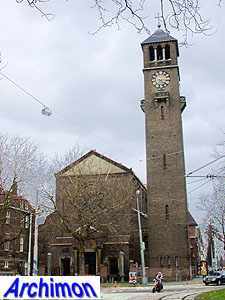 Despite its Roman influences, the church is instantly recognizable as designed by Stuyt: there are the chessboard decorations, while the architect had already used the Italian style tower ("campanile") in some of his previous churches. 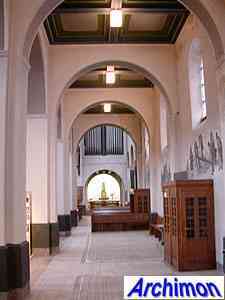 The interior of the church has been criticized for its big pillars, which block the view at the altar to some extend. 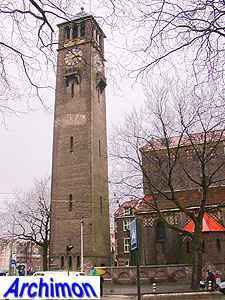 Despite this, it is often considered one of Jan Stuyt's best works, if not the best. 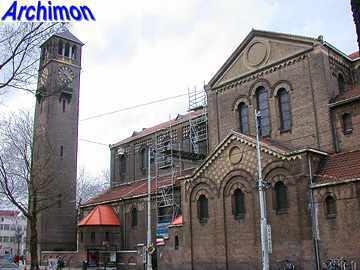 In 1996 it became a protected monument.